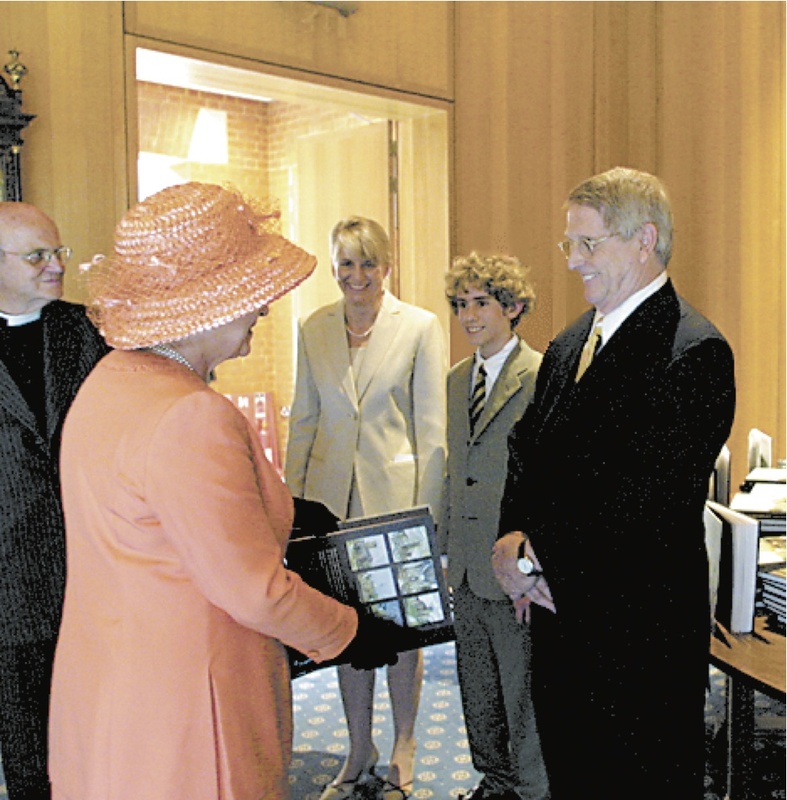 After singing “God Save the Queen” in Saint Bartholomew’s the Great, the oldest church in London, Mountain Brook residents Bob and Rebecca Moody, along with their son Luke, walked across the street to the reception where they would present Bob’s second book of paintings to Queen Elizabeth. In the presence of the Archbishop of Canterbury, Prince Philip and Her Majesty the Queen, Rebecca and Bob were “blown away,” Rebecca said. Then the moment came for the family to remember the rules they were told before the ceremony – how to curtsy, do not speak until spoken to, how to address Her Majesty – because the Queen was making her way to them. “She was so gracious, just as sweet as she could be,” Bob said. Most Mountain Brook residents know Bob as the talented architect who has served on the City Council from 2006 until recently. What many people may not realize, however, is that Moody is an exceptional, accomplished artist recognized not only by the Queen of England, but by many, many others. Rebecca says she also hopes to send out a monthly newsletter with a free watercolor included to keep people updated on their plans. A book with paintings of the livery halls in London and a book of New York Churches are also possibilities. “[Gifts of Grace] had been out for about two years, and we got a call from an Englishman, and he said that we needed to get involved with the Historic Preservation Trust in England because they were having their 50th anniversary,” Rebecca said. “A lot of their churches had been bombed in World War II, and so they were restoring them and wondered if we would come over and work on that, so we did.” The Historic Churches Preservation Trust is an organization whose goal is to preserve and restore churches in England, and her majesty the Queen is the patron. Bob and Rebecca expected the book to take a few years to complete, but were told if they could have it done by the Trust’s 50th anniversary ceremony, they could present the first copy to the Queen. After graduating from Auburn University where he earned a degree in architecture with a focus in interior design, Bob began working as a graphic designer for R.G. LeTourneau in Dallas, Texas. Next, he worked for NASA in Huntsville when it was first formed as the Art Director in their future projects department. His department was responsible for illustrating the Apollo I project, and his illustrations were presented to Congress. Each slide was a hand-painted watercolor. “Our future projects department did 56 slides of the Apollo program,” Bob said. After working at NASA for seven years, Bob said he felt it was time to return to architecture, and moved to Birmingham to work for Charles H. McCauley, which was the largest architectural firm in the southeast at the time. After heading their interior design department for seven years, Bob decided to open his own firm, Moody and Associates, which specialized in historic restoration and renovation. “Our office did about 50 buildings in downtown Birmingham, plus all over the South,” Bob said. Bob’s work will be featured at the Mountain Brook Art Association’s Holiday Art Show on Nov. 4. For more information on Bob and Rebecca, and to see some of Bob’s watercolors, visit their website at www.moodywatercolors.com or find them on Twitter at moodypaints. This entry was posted on Wednesday, November 10th, 2010 at 10:17 pm	and is filed under Artist Bio & Information. You can follow any responses to this entry through the RSS 2.0 feed. You can leave a response, or trackback from your own site.